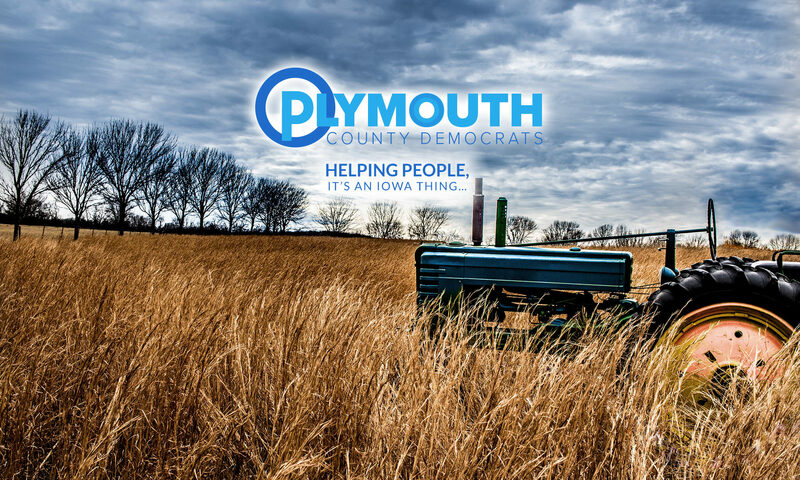 The Plymouth County Democrats will be holding their regular monthly County Central Committee meeting at 6:30 p.m. on Monday, February 18, 2019, at Lally’s Eastside Restaurant, 125 Plymouth Street NE, Le Mars, Iowa. All interested Democrats are invited to attend. Come an hour early to eat with the group. This meeting will have a fairly lengthy agenda as we look forward to next month’s combined meeting/biennial organizational meeting/off year caucus and begin planning locations and volunteers for the 2020 Presidential caucuses a year from now. That caucus will be one of the most important in recent years, with multiple extremely qualified candidates, and there are some very exciting proposed changes to the caucus process that we will be discussing. Hope to see you next Monday. The Plymouth County Democrats will be holding our regular monthly County Central Committee meeting at 6:30 p.m. on Monday, August 20, 2018, at Lally’s Eastside Restaurant, 125 Plymouth Street NE, Le Mars, Iowa. All interested Democrats are invited to attend. Come an hour early to eat with the group. Bring a friend! It’s time to get involved if we’re going to make a difference this November!